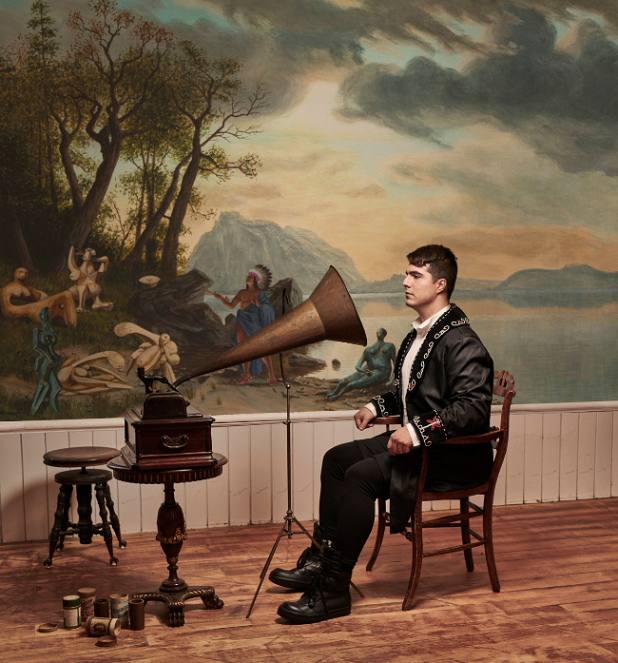 Polaris Prize (Canada’s Mercury Award) winner Jeremy Dutcher is a classically trained operatic tenor and composer who takes every opportunity to blend his Wolastoq First Nation roots into the music he creates, blending distinct musical aesthetics that shape-shift between classical, traditional, and pop to form something entirely new. Performer, composer, activist, musicologist — these roles are all infused into his art and way of life. His music, too, transcends boundaries: unapologetically playful in its incorporation of classical influences, full of reverence for the traditional songs of his home and teeming with the urgency of modern-day struggles of resistance. A member of Tobique First Nation in New Brunswick, Jeremy first did music studies in Halifax before taking a chance to work in the archives at the Canadian Museum of History, painstakingly transcribing Wolastoq songs from 1907 wax cylinders. “Many of the songs I’d never heard before, because our musical tradition on the East Coast was suppressed by the Canadian Government’s Indian Act.” Jeremy heard ancestral voices singing forgotten songs and stories that had been taken from the Wolastoqiyik generations ago. As he listened to each recording, he felt his own musical impulses stirring from deep within. Long days at the archives turned into long nights at the piano, feeling out melodies and phrases, deep in dialogue with the voices of his ancestors. These “collaborative” compositions, collected together on his debut LP ‘Wolastoqiyik Lintuwakonawa’, are like nothing you’ve ever heard. Delicate, sublime vocal melodies ring out atop piano lines that cascade through a vibrant range of emotions. The anguish and joy of the past erupt fervently into the present through Jeremy’s bold approach to composition and raw, affective performances enhanced by his outstanding tenor techniques. Jeremy Dutcher will play his debut European live dates this Spring – details to follow soon. Robert Hood celebrates 25 years of his seminal album ‘Internal Empire’ with a reissue on Tresor!